On the 18th May 1992 Irish Amateur Snooker lost without doubt one of it's greatest ever servants. 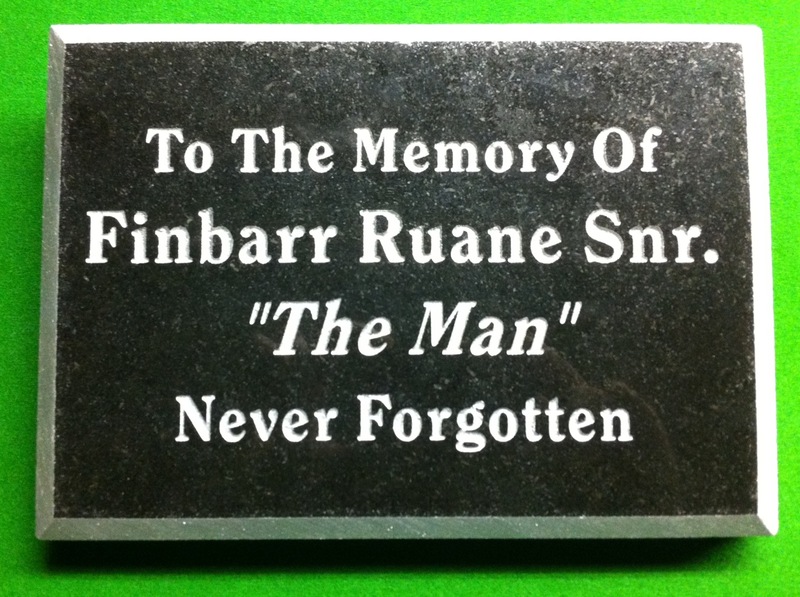 The passing of Finbarr Ruane Snr after a long illness stunned the snooker community not only on these shores but right across the snooker world. From the moment he began working with his father in law Christopher Carroll in CrossGuns in the early 1960's Finbarr's involvement in snooker grew from strength to strength. Under his leadership league and cup wins became a regular occurrence to the club, under his watch good players such as Pascal Burke, Paddy Browne and Eugene Hughes became great players. By the early 1970's Finbarr was a valued member of RIBSA and as secretary he along with fellow council members Bill Trulock and Dermot Dalton were instrumental in helping Ireland host a very successful 1974 World Amateur Championships. 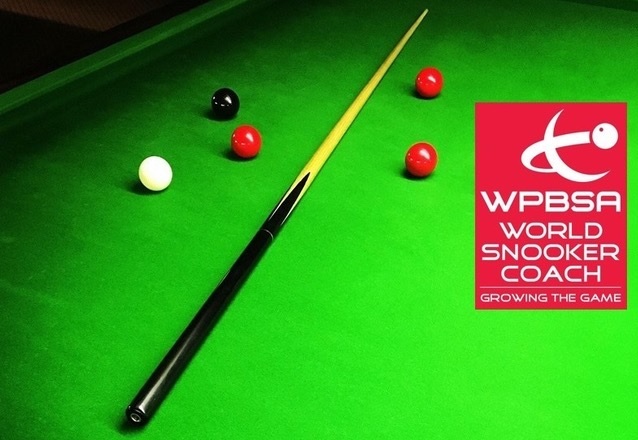 Indeed Finbarr's close friend Pascal Burke almost crowned a wonderful tournament for Ireland but fell at the semi final hurdle to Geoff Thomas of Wales. It was during the '74 event that Finbarr made his mark on amateur snooker, his cheerful personality and easy going manner endeared him to the many players and officials from across the world, friendships were built that would last for many years. It wasn't long before Finbarr was again representing his country on the world stage, two years later he travelled as the Republics delegate to Johanasburg in South Africa for the 1976 world amateur championships ,many more friendships were to be forged during the two weeks of that tournament which incidentally was won by Welshman Doug Mountjoy who had know Finbarr since the early 1970's from the annual Ireland v Wales Challenge matches. The following years brought more success for CrossGuns none more so than in 1981 when Finbarr's prodigy Paddy Browne won the Irish Amateur Championships, he became the youngest ever national champion and to Finbarr it justified the belief he had shown in him since the day a 12 year old Paddy walked into the club picked up a cue and started playing. Arguably Finbarr's proudest moment involved with Irish Snooker took place three years later when this time as president he again with close friends and fellow council members Paddy Thornton, Richie Dunne,Bill Trulock, Dermot Dalton and Paddy Williams presided over the organisation and hosting of the 1984 world amateur snooker championships in Malahide. This was to many players, officals and guests the best championships ever held and it's probably no surprise that snookers greatest ever player Stephen Hendry remembers his first appearance at a major snooker event with fond memories. Two years later saw Finbarr again representing his country abroad, this time it was New Zealand for the 1986 world amateur championships. That year saw Gay Burns play some wonderful snooker but just narrowly missed out on a final appearance, Ireland's other player that year was a young Ken Doherty,and although Ken didn't qualify from the group stages, Finbarr along with many in Irish snooker knew Ken was destined for greatness in the game. Irish woes were soon lifted however in that championships when Gay won the play off and came third that year.A feat Gay still credits to Finbarr to this day. It wasn't only in amateur snooker that Finbarr was highly regarded, many of the players he knew from the amateur days never forgot his generosity and friendship and he was always made welcome at professional events, none more so than at the annual Benson & Hedges Irish Masters. It was here he would renew acquaintances with players such as Dennis Taylor, Alex Higgins, Jimmy White, Willie Thorne and Tony Drago to name but a few. Finbarr welcomed Ireland's first ever world amateur champion Ken Doherty back to Ireland after his historical win at the championships in Singapore. Throughout all of his years associated with RIBSA Finbarr continued to run CrossGuns and in over thirty years under his stewardship and dedication the club became a role model for the many other clubs in Dublin and beyond. The standard was set and the rivalries were made,league nights were special events, no matter who the visiting club were, they were all afforded the same hospitality by Finbarr. CrossGuns became a club where strangers became friends and where you felt part of a family. Longtime regulars such as Michael Clarke, Frank Lindsay and John Carney are testament to this. CrossGuns was unique because Finbarr created more than just a club, he created an institution, he created the home of snooker. In December 1990 Finbarr suffered a massive stroke from which he never recovered and passed away almost 16 months later. His funeral was attended by almost the entire Irish snooker community, a European snooker association meeting due to be held that very day was cancelled, messages of condolence from Stephen Hendry, Steve Davis and Jimmy White arrived,and many of Ireland's top snooker professionals who were at the time competing in the Irish Professional Snooker Championship offered to withdraw from playing as a mark of respect. To me he was simply referred to as 'Dad'.